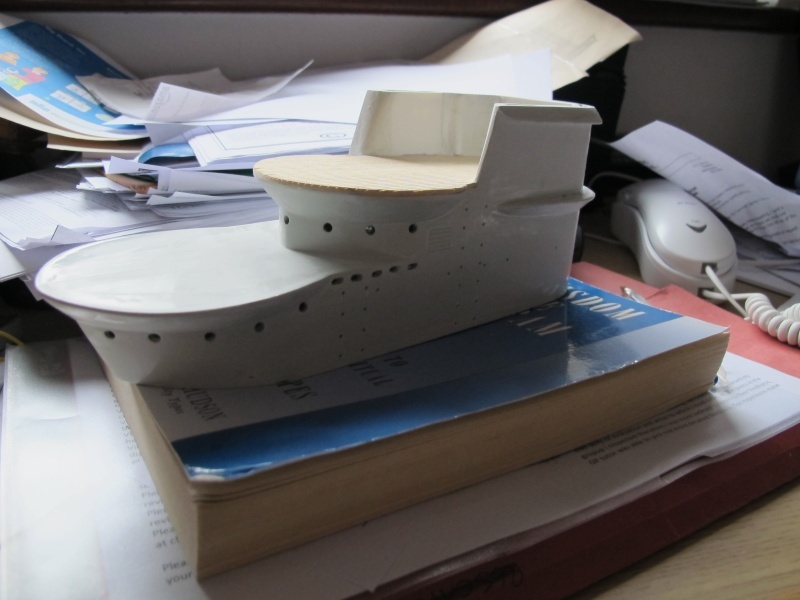 Having built a range of surface model boats over the years I have always yearned for a submarine. I have now taken the bold step of ordering an Engel U177 IX D2 after much research on manufacturers & model type. It looks a lovely model when complete. Having explored this forum I am now getting mild- moderate anxiety that I have bitten off too much for my first project. I do not have an engineering background but have a range of bench & model tools, patience & an inquisitive mind & an element of obsessionalism if needs be. Also I can find relatively few references to the model compared to others- is there any particular reason? When the kit arrives & the build starts I will try & post pics. Hi Rob, and welcome to the forum. I guess the reason that a lot of people avoid the Engel boats is the expense of them...that one you have bought is a superb boat, but out of reach of a lot of people's pockets...especially mine! However, rest assured you're in the right place for advice and assistance with your build...if there's a mistake to make, then someone on here will have made it! Look forward to your build log..and don't hesitate to ask questions. Welcome to the forum just pull up a chair & tell all about your self, could you tell us were you come along side may be?? If you have been building surface boats for a number of years you should be fine,just take your time and ask questions. May the force be with you, Rob! And all of the Engelaphiles out there be your friends. Engel makes the finest kits available. I was fortunate enough to find an Engel Gato kit less the piston ballast tanks for only $700.00USD! A friend of mine bought the kit and then acquired a sweet bargain of the same kit, but completely built up. I also found a great deal on a 1/48th scale Type IX by ScaleShipYards. Just working on the WTC now. Good man Rob, and don't forget the pictures...loads of pictures. We like pictures here! My plan was to follow the instructions. That's Ok, I did the same and when it's finished there is (almost) always a possibility to change things. Is the hatch covering the WTC still made of aluminium? I have been looking at acrylic sheet for the WTC. is 8mm thickness a little too thickor would 5mm do? I use 4 mm lexaan (polycarbonate)and a 5 mm (uncompressed)soft seal.reason is the original bolts i used are too short and cannot be replaced anymore (after using Locktite). I have to compress the hatch and seal very hard to get the nuts on with as a result the lexaan is somewhat bulging between the bolts but NOT leaking. you probably will not have this problem when using 8 mm lexaan but make sure your bolts are long enough. Thanks to my "leg caddy" with basket & working in conservatory with doors open (shaking dust outside) I have started work on the conning tower. I found the vent holes a pain even with a Dremel & diamond files. Not clear from the photos is the need to support the bridge decking forward of the gun mount area. Easily done with some resin. Next job is paint & varnish, I will do lower gun mount deck after this. Then work up with stanchilons etc. Rob, your pics are way too small, my friend...nobody will see what you're doing. OK I think I have sorted it. Naff, just replied to it as well! Rob...ignore my reply!! Pics look good, by the way..
Pictures are looking good! If you find it difficult to drill/file all the holes especially in de fuselage it might help when you rub with a soft pencil over the holes to be drilled so you get a clearer vieuw where to drill. By the way what means ATB? Thanks for the tip. I was also going to put masking tape across the top & bottom line to give more definition. 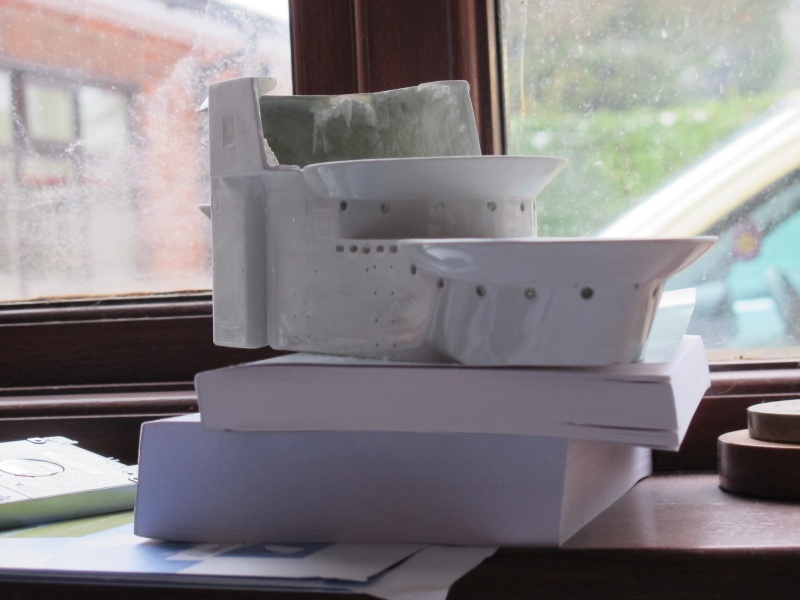 I must say I am enjoying the build already (despite the stress of holes) , the lines of the boat are so classical. My friends cannot wait to help me launch in a few months. Found this site for looking for construction photos of the Engel U177. I've purchased the U177 back about August 2012 - birthday pressy to me. Have for many years wanted to build a T class sub, have settled for the U177 as a kit at the moment, if in the future I still have the bug I'll built a T class from scratch. Rob - your photos of the conning have giving me enthusiam to progress. Have been a bit slotted out! Completed one side of slots, now to do the other side. Have fun when you get to cutting the slots.